The sweet undertones and mild brine of our North Atlantic Sea Scallops are matched with a tenderness that compliment robust flavors as well as the delicate ones. If there is ever a time to get creative in the kitchen, our North Atlantic Dry Sea Scallops are sending you an invitation! Our North Atlantic Dry Sea Scallops are landed right here on the docks of the East End of Long Island. A “Dry” scallop is pure, meaning there are no additives or preservatives, just pristine ocean scallops. 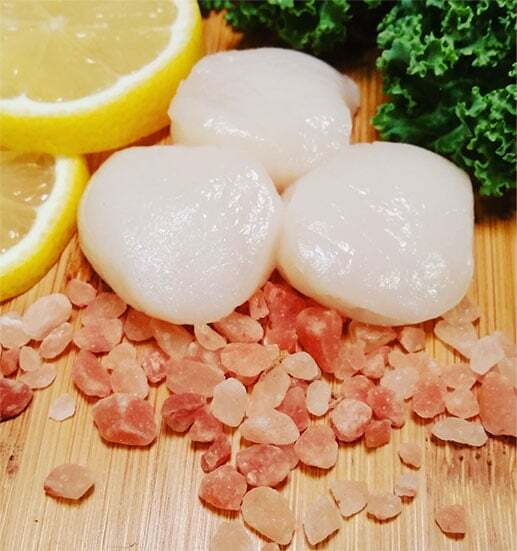 The size of these sea scallops are perfect for pasta dishes, warm salads, fried favorites, or simply sauteed and served with melted butter and a lemon wedge. Enjoy!